The Harloff Value Line Tall Single Column 150 Medicine on Time Medication Cart is a storage device designed to accommodate the uniquely sized Medicine On Time (MOT) Multi-Dose System at a budget-friendly price. Durable and Spacious. 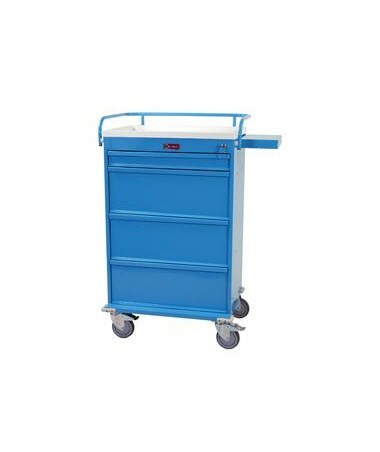 With an all-steel and latex-free materials, the Value Line Tall Single Column 150 Medicine On Time Medication Cart is robust and can hold up to 150 MOT cards. 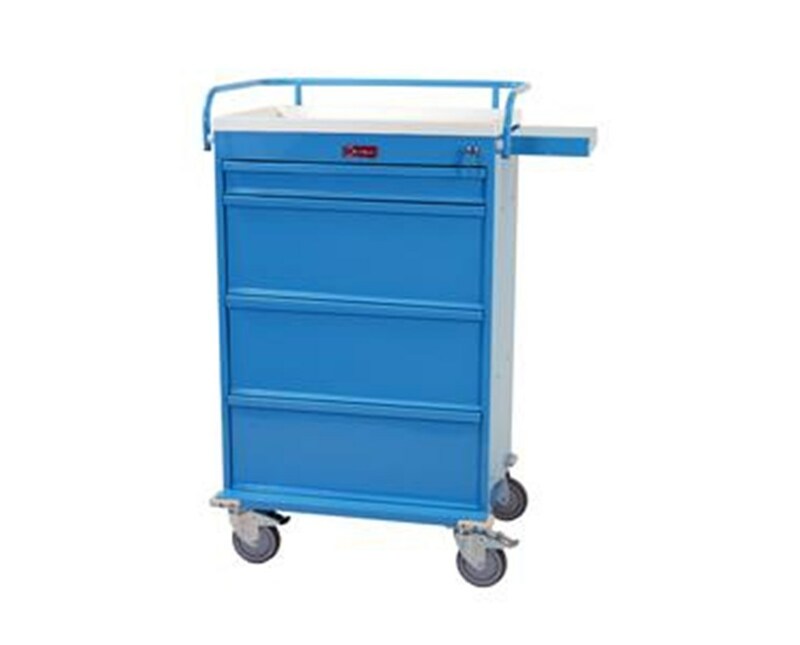 The cart features four aluminum drawers that are mounted on ball-bearing, full extension slides and has an internal dimension of 23" W x 17" D. It has a painted steel pull-out shelf and a plastic replaceable top. Safe and Mobile. Mounted on 5-inch ball-bearing premium full swivel casters with one directional and one with brake, the Harloff Value Line Tall Single Column 150 Medicine on Time Medication Cart, with a painted steel top rail/push handle, can be moved around the facility hassle-free. A bumper frame with projected front casters is installed for added protection and increased stability. The cart has an Illinois Lock that secures the Narcotics Box.